June 22: we went for lunch at pancake restaurant De Ossenstal just north of Epe. A fawn at a deer farm just outside Epe. Two Eurasian collared doves in a cage at the deer farm. 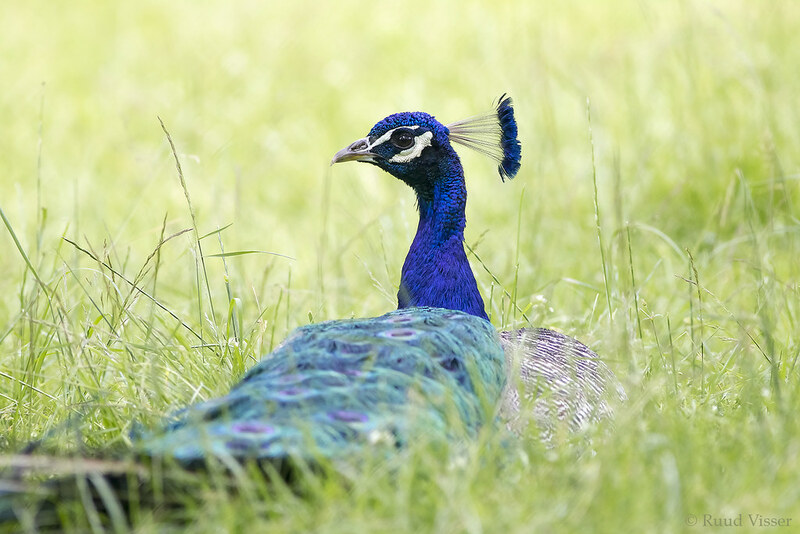 Male, also called peacock. June 22, 2016 at a farm outside Epe, the Netherlands. Dutch: blauwe pauw; scientific: Pavo cristatus. Another peacock shows off its splendid tail.